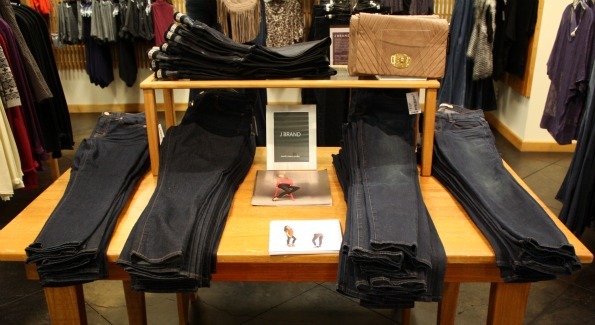 Clarendon was seeing reality stars tonight during the J Brand Jeans Denim Promotion at South Moon Under! Most notably was Mary Amons, star of The Real Housewives of D.C. and America’s Next Top Model’s Bianca Chardei. While shopping, guests were invited to enjoy yummy apple caramel cosmopolitans and delectable Georgetown Cupcakes (another reality star) created exclusively with the J Brand logo. I came away with three pairs of J Brand Jeans and 80s music playing in my head. The DJ was fantastic! And Oscar, the J Brand Jeans Stylist (from NYC) should have a reality television all his own!